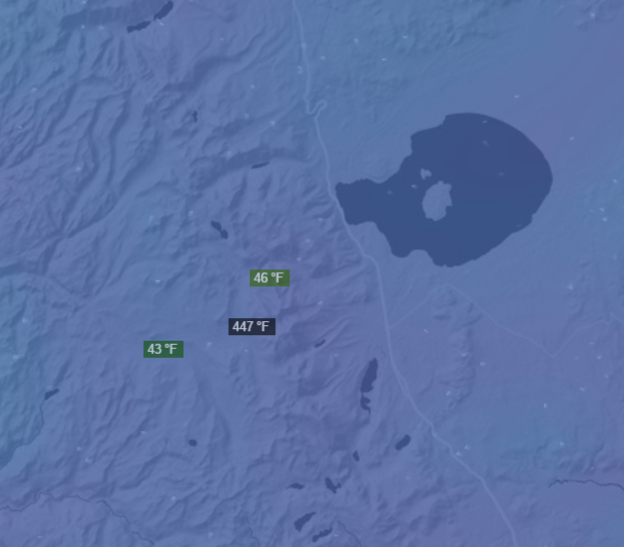 There is a strange temperature reading at a weather station near Mono Lake in California where temperature readings are often as much as 10 times higher than the surrounding weather stations. Is this a bug of some sort? Unless the weather station is in a volcano or something it doesn't make sense since the temperatures observed at this weather station is far above the boiling point of water!